He was born in Humacao, Puerto Rico on June 20, 1989, son of Fredeswindo Cruz who passed away last year and Esther Cuadrado of Worcester. 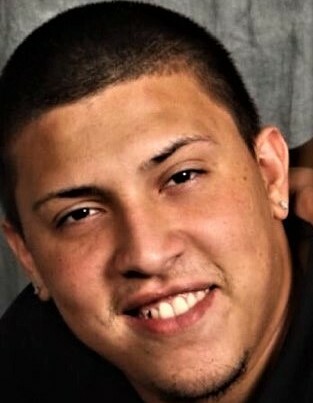 Ray was raised in Worcester, graduating from the Accelerated Learning Lab; most recently, Ray worked as an auto-mechanic; he loved to go dancing, spending time with his countless friends and family who he loved dearly. Ray will be deeply missed by his daughter: Lisette Cruz Maradiaga; his step-son: Elijah Caban; his girlfriend: Jasaniris DeJesus; three brothers: Fred Joshua Cruz of Worcester, Alexis Ruben Cruz of South Carolina, and Moses Arnaldo Cruz of Worcester; his sister: Deborah Cuadrado of Florida; he also leaves many relatives and friends. Calling Hours will be held on Saturday April 6, 2019 from 5:00 – 8:00 pm at the Graham, Putnam & Mahoney Funeral Parlors, 838 Main Street Worcester, MA. Committal Services will be private.